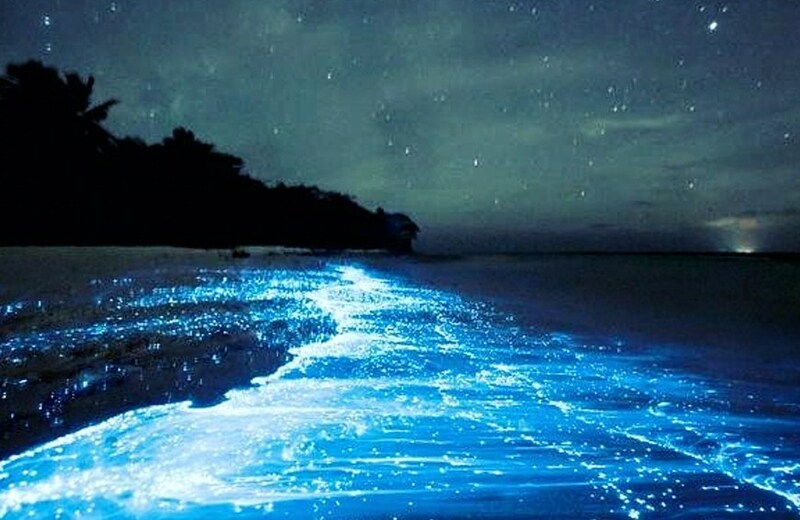 Particularly enchanting among the natural world’s many magical offerings are the bioluminescent events which happen in waters worldwide (think: the ocean lit up in neon). Many forms of marine life—from bacteria to algae to jellyfish and even sharks—light up via a chemical reaction that occurs within their bodies or as the result of their intake of smaller creatures with bioluminescent capabilities. Some use the trick to attract mates while for others, it’s a sign of stress, which can be caused by something as simple as a wave. 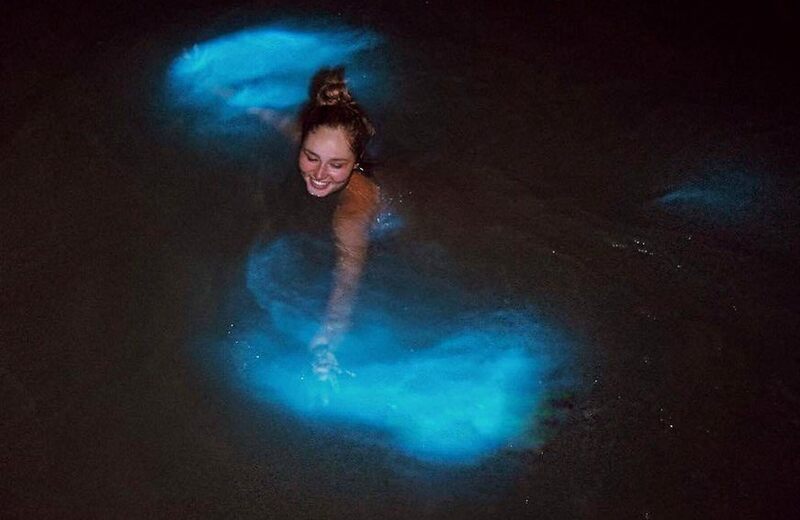 Often, when you’re able to witness mass bioluminescence near an ocean’s surface (not deep down in its depths) it’s caused by phytoplankton blooms, specifically. 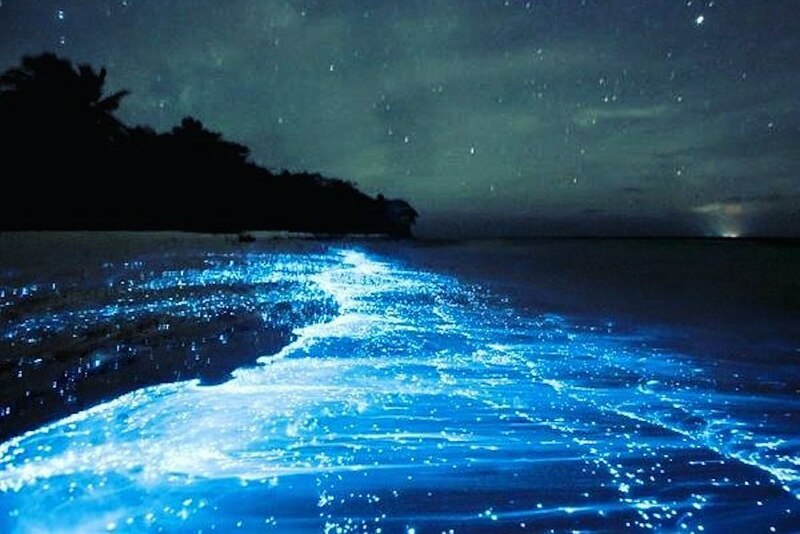 Though it’s not always easy to predict when these—or any bioluminescence events sparked by larger lighted organisms, for that matter—will occur, there are certain spots around the world where it’s most likely you’ll be able to see such a sight. 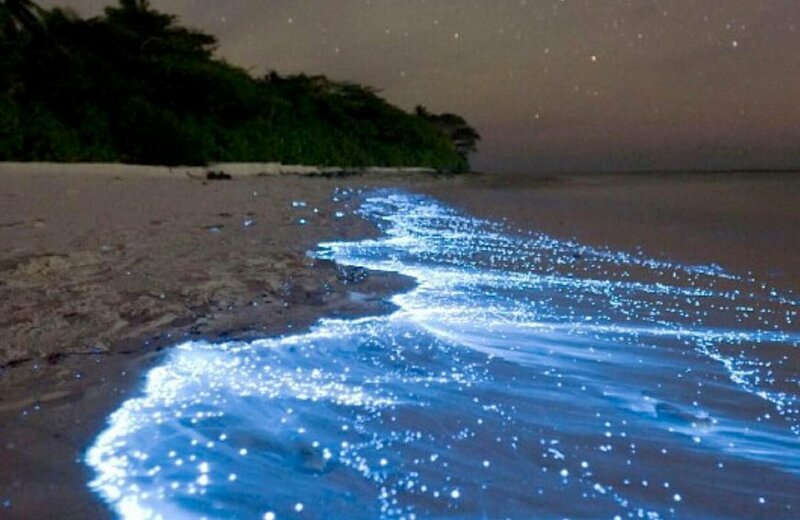 Below, find details on some of the world’s best bioluminescent beaches. 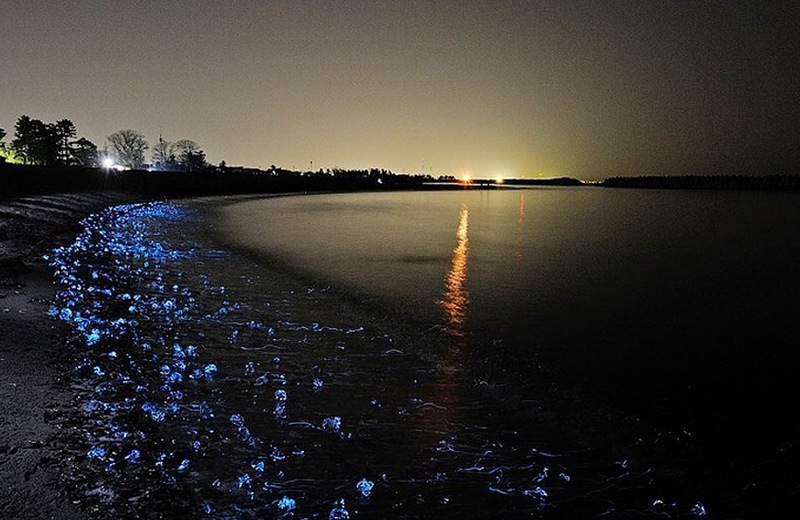 This magical bay is lit up not by phytoplankton but by three-inch firefly squid, which have little light emitting organs on their arms, head and tentacles. In most parts of the ocean here, these tiny creatures are well beneath the water’s surface. However, this bay provides the perfect set of circumstances for them to emerge and emit an extraordinary glow. But you’ll need to set your alarm: from March until May, sightseeing tours departing at 3 a.m. and can be taken from Namerikawa Bay (190 miles northwest of Tokyo). Three nights after every full moon in summer, approximately 56 minutes after sunset, the fireworms (essentially tiny ocean worms) of Bermuda’s shallow Atlantic waters mate. The ritual begins with the female, who swims up to the surface to do a few glowing laps in order to attract her partner. He then likewise surfaces, they mate, and it’s over before you can blink. You can best view this event from Ferry Reach Park, Flatt’s Inlet, or aboard what’s often called a glow worm cruise by local boating companies. Have you heard that we’re leading our second Well+Good Retreat in Cedar Lakes this August? Reserve your spot before Friday, May 25 for 10 percent off booking! Originally published February 10, 2018; updated May 24, 2018.